That's the hymn that will be chanted through-out the Maha Shivratri night as devotees pray to the three-eyed lord. 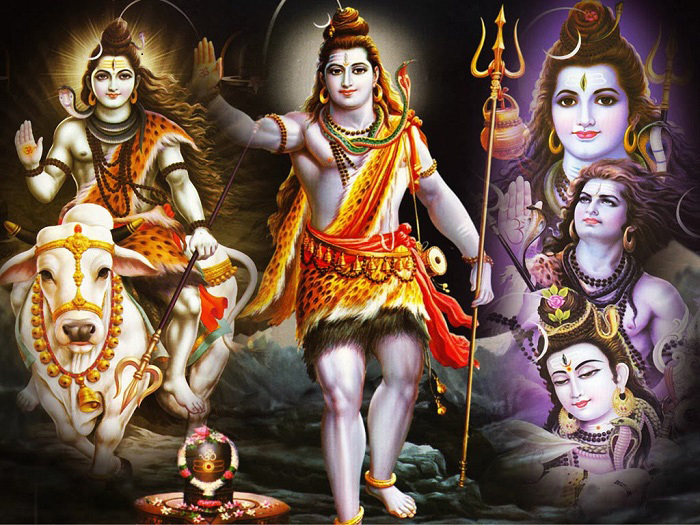 Maha Shivratri is the night of the worship of Shiva. It occurs on the 14th night of the new moon during the dark half of the month of Phalguna in the month of February or March when Hindus offer special prayer to the lord of destruction. As per traditions, lord Sadashiv appeared in the form of "Lingodbhav Moorti" exactly at midnight on Maha Shivratri. 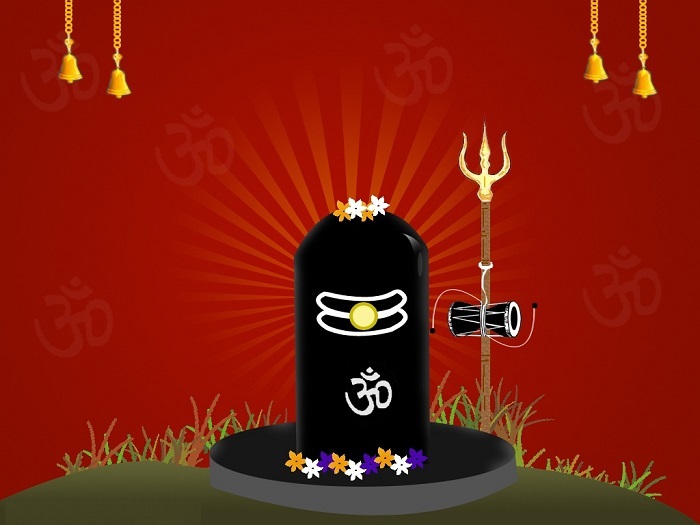 That is why all Shiva devotees stay awake throughout the night of Shivratri and do "Shivlingam abhishekham" (prayers) at midnight. As per rituals, God in his manifestation as lord Vishnu made his appearance as Krishna at Gokul at midnight, 180 days after Shivratri. 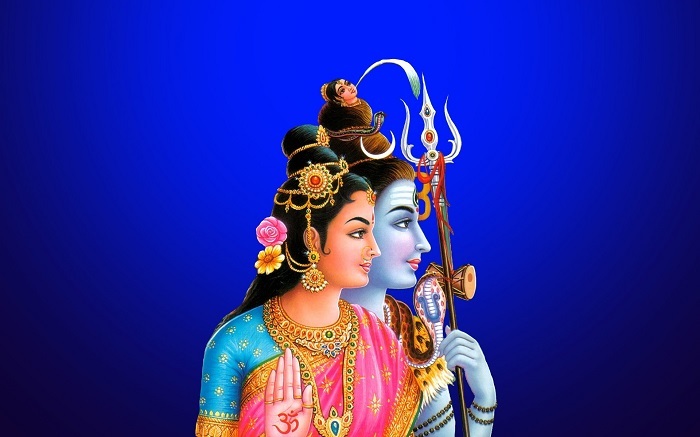 Lord Shiva was married to Devi Parvati on Shivratri. With his illusive power, (Maya, Parvati) He becomes the "Sagun Brahman" for the purpose of the pious devotion of his devotees. 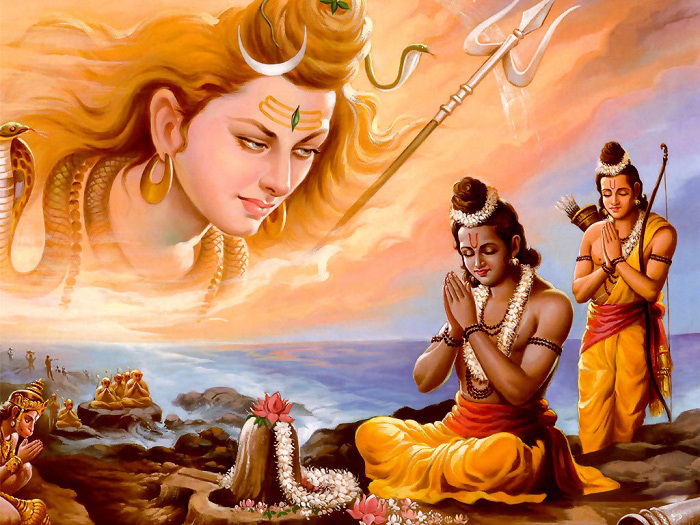 Another story states that, on Shivratri, Lord Shiva became 'Neelkantham' or the blue-throated by swallowing the deadly poison that came up during the churning of "Kshir Sagar" or the milky ocean. The poison was deadly that even a drop in His stomach, which represents the universe, would have annihilated the whole of Universe. Hence, He contained it in His neck, which turned blue due to the effect of poison. Shivratri is therefore a day of thanksgiving to the Lord for protecting the world from extreme annihilation. On the day of Shivratri, a three-tiered platform is built around a fire. The topmost plank represents 'swargaloka' (heaven), the middle one 'antarikshaloka' (space) and the bottom one 'bhuloka' (earth). Eleven 'kalash' or urns, are kept on the 'swargaloka' plank symbolising the 11 manifestations of the 'Rudra' or destructive Shiva. Lingam is bathed every three hours with the 5 sacred offerings of a cow, called the 'panchagavya' - milk, sour milk, urine, butter and dung. Then the five foods of immortality - milk, clarified butter, curd, honey and sugar are placed before the lingam. Datura fruit and flower are believed to be sacred to Shiva and thus offered to him. 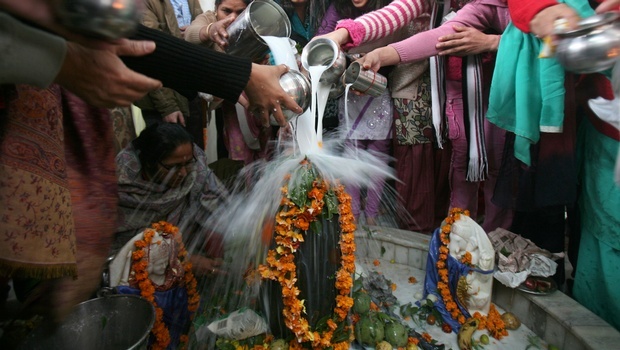 Happy Maha Shivratri to all the friends and their families!